Ginger, a common ingredient that is used in our day to day cooking have lots of health benefits and when used regularly, it helps in releiving indigestion, diarrhea, stomach cramps as it aids in digestion. It have a good amount of vitamins and minerals that will help Pregnant Women. It also helps in curing Nausea during pregnancy. If one have congested nose, sore throat or cold and cough ginger kashayam is highly helpful. It also helps in controlling Asthma and Wheezing. 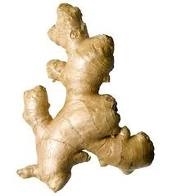 Ginger have the property to reduce and releive pain and inflamation. It helps in stinulating blood circulation, cleaning the bowels and kidneys and removing toxins from the body. Ginger helps in nourishing the skin.